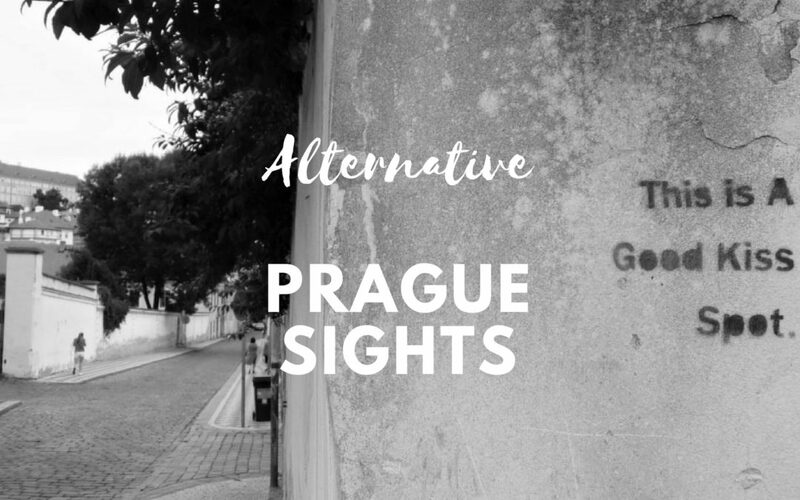 Are you planning to spend few days in Prague? I believe you will start your city touring at Prague Castle, Charles Bridge, Old Town Square, etc. But what else? If you are tired of sigthseeing and crowds around you, why not to discover few alternative spots hidden in city´s backalleys. 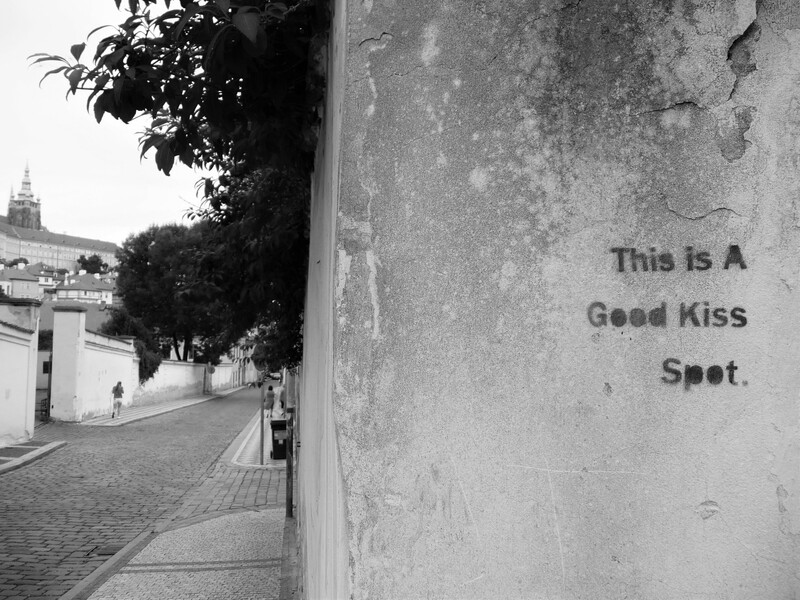 You don´t have to travel to city periferies to see the city´s alternative gems. You only need a good pair of shoes, one free day and camera. All these places are located right downtown. 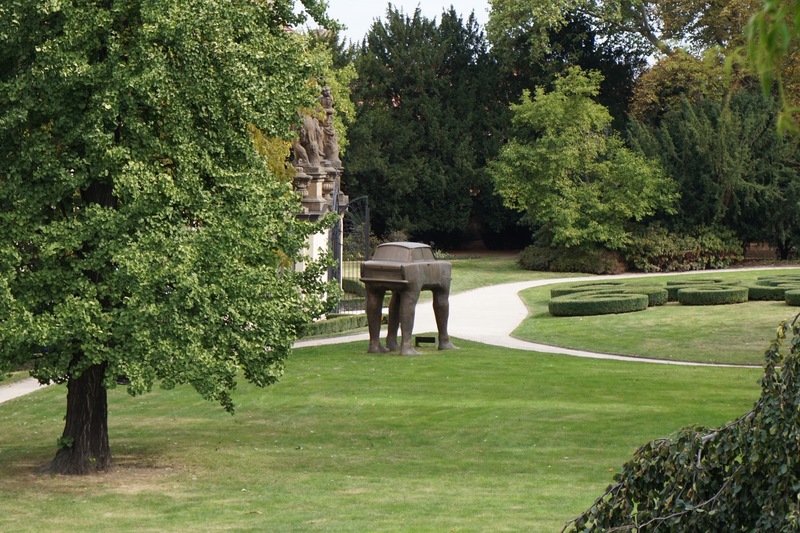 Not so many people know about this funny sculpture since it is well hidden in a garden of German Embassy. However, if you make few steps through a playground nearby, you will have a chance to see it. It was created by a famous, controversial Czech artist David Černý. This sculpture called Quo Vadis (“Where are you going”) is not only a fun piece of art presenting typical East German car called Trabant. It is also a symbol of exodus of cca 4000 East Germans who arrived to Prague during communism (in 1989) and applied for asylum and citizenship at West Germany Embassy. TIP: we are visiting this place during my Prague Behind The Scenes 4h tour. This place is located just around the corner from the walking car. The right turn will lead you to the playground…I found this stencil spot just randomly along the way on my tours and I can only agree: It is really a good kiss spot since it is hidden around the corner and provides you amazing view over Hradčany and the Castle area. Have you ever heard abou cubism? Progressive art movement from the begining of the 20th century? It was created by Pablo Picasso and Georger Braque. This style is based on geometric forms in the highly abstracted works – cubes. There are many famous cubistic sculptures and pictures in museums and galleries around the world, however, only in Czech lands cubism evolved in something world unique – architecture. 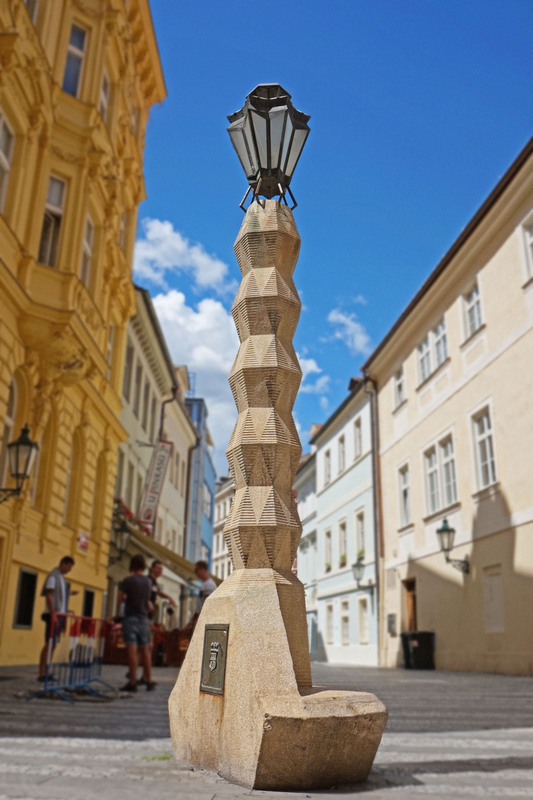 In Prague you can admire cubistic buildings and also this lovely street lamp – the only cubistic street lamp in a world. It is totally hidden next to Wenceslas square. Address: Jungmannovo náměstí, Praha 1. TIP: everything about this rather unique lamp you can also learn on my Unknown Downtown Tour.